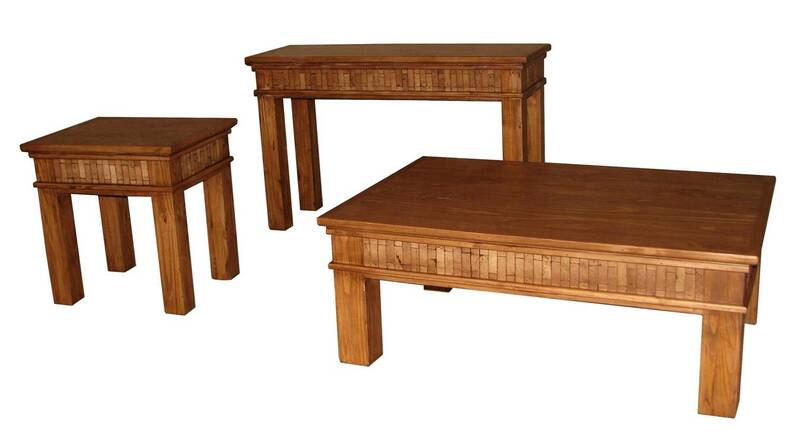 Add texture and elegance to your rooms with these wonderful rock inlay accent tables. Available in Medium or Dark Finish. Add texture and elegance to your rooms with these wonderful rock inlay accent tables. Dimensions and price shown correspond to Coffee Table.